Most massage/bodywork aficionados remember the uncertainty that came with their first service. What should I expect? Will I have to take off all my clothes? How much do I tip? Will the pressure be too deep or not deep enough? I got my first massage when I was 15 (40 years ago!). There were very few therapists then, and only elite health clubs or vacation retreat and resort properties offered spa services. So, hopefully I’ve established myself as a veteran massage recipient turned provider – but don’t assume that I’m perfect at setting and honoring boundaries; it takes conscious attention and personal assertion – let’s begin! For newcomers to massage, the prospect of those first visits can be unnerving. Here are some basic bodywork/massage guidelines to help you choose a therapist, get the most out of your session, and create a healthy client-therapist relationship. If there are no forms, and no intake interview – in my estimation, the service is no good. Massage “on the cheap” is just that (and I’ll admit I have taken part – in desperation!). Reputable massage clinics, with skilled therapists, do intakes. Seriously – do you have athlete’s feet, herpes, high blood pressure, hypoglycemia, history of seizure? We’re talking safety here! And what about your preferences? Do you get cold, are your feet ticklish, do you like light – medium or deep pressure, and so on and so on. And, in regard to the pressure used during a massage – more is not better people! (Is drinking a bottle of wine better than enjoying a glass?) There is a term called “Echo Point” I like to use. It refers to the point between pain and pleasure – as far as pressure, there is no benefit in going beyond this point. Note: At Star Brows, I have a thorough intake/interview process. Actually, it takes about 2-3 sessions for you to really get comfortable with a new therapist. It takes the therapist that long – and longer, to get to know you and your needs and preferences as well. Even if you only go a couple of times a year – go to the same person (once you find someone you like). If you arrive 5 or 10 minutes early each time, you will start the massage more relaxed and focused, moving sooner to a place of healing calm. Plus, you’ll get your full time on the table! Most practitioners require a 24-hour notice to avoid fees. Outside of an emergency situation, last-minute cancellations or missed appointments usually result in paying a fee. Your therapist reserved that time for you and may have turned away other clients. Figure out what you like, and communicate it. Yes, the therapist is trained to do her job – but it’s YOUR body. Be in charge! The therapist should provide a comfortable atmosphere for you to express your needs and preferences. They should be checking in with you, asking questions about likes and dislikes – and if they aren’t, you need to – as my dad says, “wiggle your lips”. 😀 If they don’t listen, end the service – and don’t go back. Some people have a hard time even considering massage because they are so unhappy with their body. This is primarily a female issue. It may be hard thinking about getting naked, lying on a massage table having a virtual stranger touch you, as a pleasurable experience. For those dealing with self-esteem or body image issues, massage therapy and bodywork can be produce anxiety. But developing trust and rapport with a skilled therapist can be transformational! Sometimes massage sessions can bring up intimate issues about yourself, an issue, or a relationship. The spirit, soul and body are one – so integration of these realms can bring miraculous healing on a physical and emotional level. But, keep in mind – massage therapists are typically not trained in professional psychology. Some issues will require a referral to a skilled professional. An ethical service provider will refer if professional help, such as a counselor, seems needed. To stay safe, only share what you want to share. Quietness is preferable overall – you should lead the way if there is going to be conversation. Sometimes people become chatty because they are nervous. Keep your focus on breathing – and speak only when you feel the need. Just know, confidentiality is an ethical code that therapists ascribe to. It’s best to get to know the therapist before disclosing intimate life details, until you have developed trust. If there is unwanted conversation happening, simply say something like; ” I would like to have quiet so that I can relax”. Remember – it’s your dime! If you’re on vacation, at a resort – you may be drinking. But, the last thing you want is to have alcohol in your system when you get a massage. Alcohol wreaks havoc with the body’s systems. Combine that with the increased circulation from massage and you have increased absorption rates, potentially making you nauseous or outright sick. That’s no fun and a waste of good time and money. Water, before and after is what the body really wants. The body can have a lot of responses to therapeutic massage. While avoiding food at least one hour before your massage, not drinking the night before, making sure your bowel is empty, and drinking plenty of water the day before will help, there’s still the chance that you’ll have bad breath, tummy gurgles or pass gas (excuse me is all that’s needed). Note: I don’t see male clients unless it is a referral from an existing client, primarily because of the sexuality issues involved. Advice for those who get “accidental erections” – don’t get professional massage (especially from a woman) if you are that sensitive, and control your thoughts while you are on the table – where your thoughts go, your body follows. When it comes to gratuities, it’s ultimately the client’s decision whether or not to tip. Like in other service industries, providing a tip is usually done in response to excellent service. 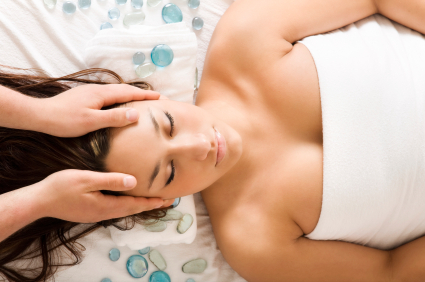 According to CNNMoney.com, the tipping norm for massage and bodywork services is 15-20 percent. That said, I don’t see tipping as a way to compensate an under-paid employee (which in some clinics is the case). You paid for the service – if it was above and beyond your expectations, then a tip is appropriate. Sometimes the fee for service is all you can spend – this is understandable. Sometimes people tell me, “I would love to give you extra, but I only have enough for the service itself”. I understand, I’ve been there.